Despite efforts to clear roads and intersections, many spots are covered with snow and ice across the Tri-State. It’s a good reminder for people to take it slow and be extra cautious when hitting the road. “It’s been pretty slick. I think that the weather conditions, it’s been so cold that plows can’t get out and put salt on the roads because it’s just not the right conditions for that,” says Craig Denbo, Princeton resident. After a wintry weekend, some parts of the Tri-State like Gibson County, saw up to nine inches of snow. 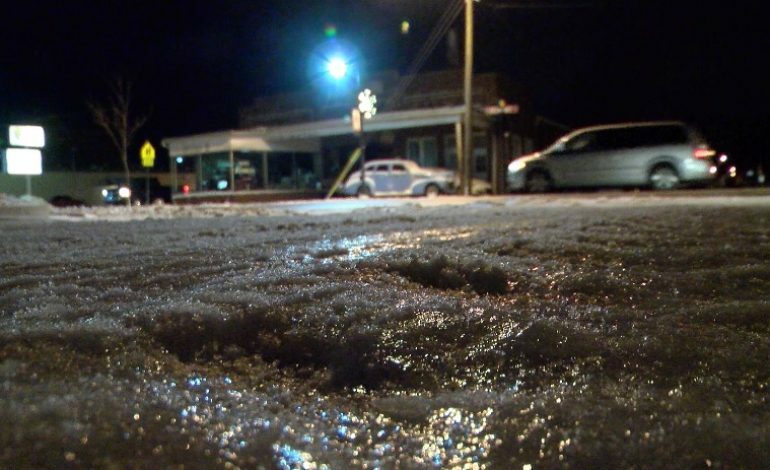 With temperatures nearly freezing Monday, local residents in Princeton dealt with snow and ice. “I shoveled some path ways from my house to my car and we put salt down on the steps that’s pretty much it. I took my four wheel drive truck and I ran it up and down the driveway several times so that the cars for the people in my family can get out a lot easier,” says Denbo. Authorities reminded people about roads, bridges, and ramps refreezing as temperatures dropped into the night. According to Deaconess Hospital, they had a little more than 30 people with reported injuries due to the snow and ice. Others say getting around was not easy. Officials continue to remind people on the roads to be extra cautious and give yourself plenty of time. “So far they are a little slick but if you take your time and you pay attention and you drive defensively I think they’re fine,” says Denbo. “Just to be safe. Be cautious. It’s very slick out and to be on your toes,” says Bullington. Many schools across the area are canceling or delaying classed due to the winter weather impacting much of the Tri-State this week. At last check in Gibson County, school is cancelled Tuesday due to these chilly conditions.